Prairiebreak: A flicker of democracy 100 years ago. Soon extinguished. A flicker of democracy 100 years ago. Soon extinguished. The actual date was March 12 (February 27 Julian Calendar--hence "February revolution"). This marked the start of the only true Republic that Russia ever experienced and the end of the first Russian empire.There were casualties--more than a thousand in St. Petersburg alone. But the new era launched quickly, and in the chaos the groundwork of an American flavored democracy began to be laid. The backdrop of World War one, and the toll it was taking on Russia ultimately set the stage for the more violent regime that was to haunt Russia for most of the 20th Century. But for a few months, Russia had representative democracy, a free press, free speech and for the only time in their history, there was no secret police, no Gulag, no rule by strong man, or puppet strong men (with Rasputins and Bannons hovering in the background). A second attempt at democracy attempted to take root in the aftermath of the Soviet Union's collapse in 1989: this too was ultimately co-opted by a strange blend of Communist and Ultra conservative Orthodoxy in the persona of Vladimir Putin, an autocrat blending unsavory qualities of new and old. Let's hope that in the 100th year of both the February and October Revolutions (which of course are really the March and the November Revolutions), that the authoritarian regime of the current Russian autocracy has not transformed our slightly longer lived Republic into an Autocracy. the principal history of the February Revolution and its government (namely: The Russian Provisional Government 1917: Documents. Volumes I-III) was a professor who spent much of his professional career at Kansas State University. He taught several semesters in Boulder, when I was a child, and my older sister (Eleni Sampson) took his classes. Eleni thought he was the best professor she'd ever had..and years later I befriended his daughter, Kate who told me many amusing tales (third hand) of Dr. Browder and Kerensky's interactions as they wrote their classic book...the world is a closed system, and we are all related to some degree. 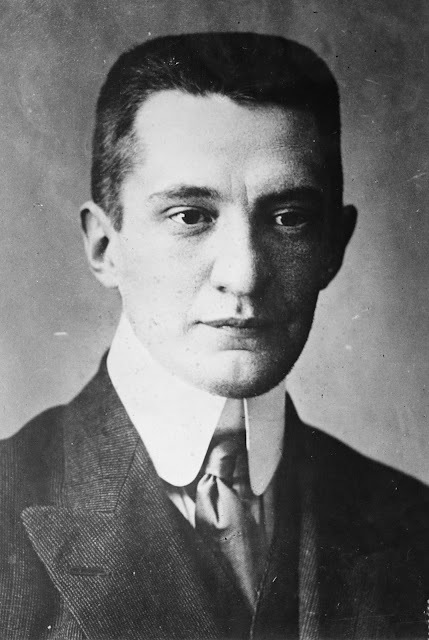 Kerensky finally died, 89 years old on my sister's 34th birthday.